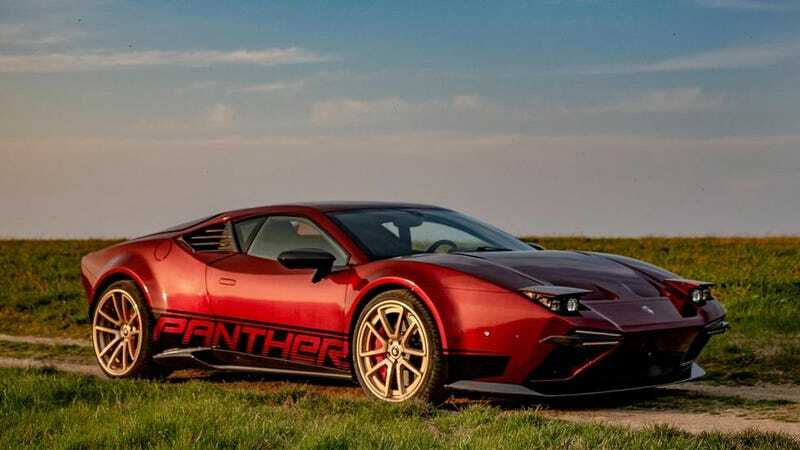 Apparently there is a company based in Italy, ARES Design, who for ~615.000€ ($700k USD) will turn a Lamborgini Huracan into a modern reincarnation of the legendary DeTomaso Pantera. It is unclear if this total includes the original Lamborghini donor car that I can only assume is consumed in some sort of Italian supercar cult ritual to create the above. They’re calling it the ARES Design Panther ProgettoUno, which I am 100% okay with because of that sweet graphic on the side. I think if it’s going to be a real Pantera, it’s going to need a huge rear wing like the GT5-S trim of the original car. I bet ARES could work something out for a small surcharge.